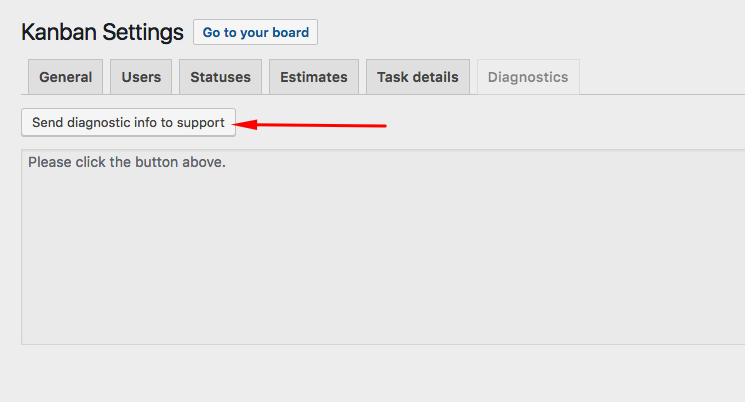 If support asks you to send diagnostic info, please follow these instructions. 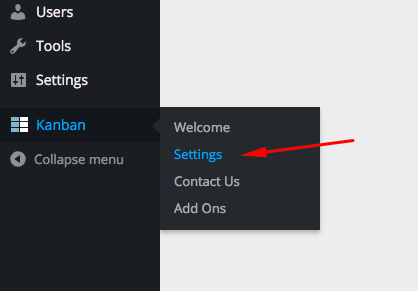 Please go to your WordPress admin, then click on Kanban > Settings in the menu. 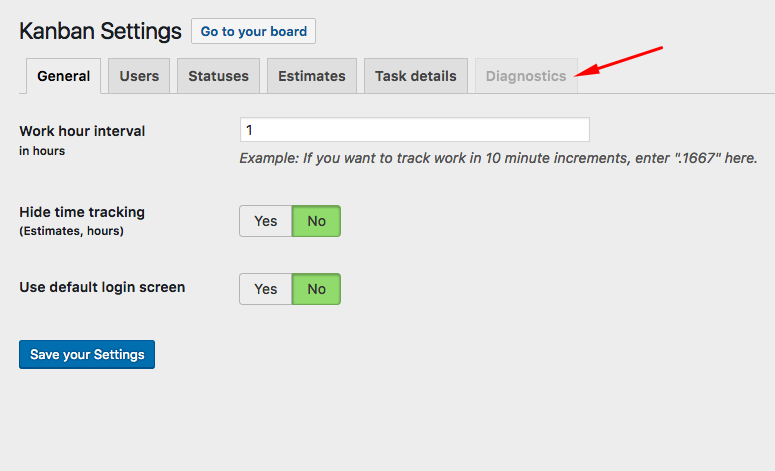 Click the “diagnostics” tab in the Kanban settings.  Then the “Send diagnostic info to support” button. That will send us diagnostic info to help us figure out what’s going on.